Becoming a volunteer with Midlands Simon Community does not just help give you invaluable experience in a working environment that looks great on your CV, it will also help you to develop skills and qualities that will stay with you for life. 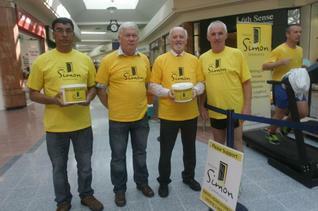 Are you interested in volunteering for Midlands Simon Community? If you are interested in volunteering, click here to fill in your 'Expression of Interest Form'. You can also call 090 6444641 or email info@midlandssimon.com to express your interest. All volunteering positions are subject to submission of an 'Expression of Interest Form'. Midlands Simon Shops are located in Athlone, Portlaoise and Tullamore and are a great way of gaining experience in the retail sector. There is the option to volunteer in our Emergency Accommodation Services in Athlone or Tullamore. These positions offer volunteers work experience in the area of social care. 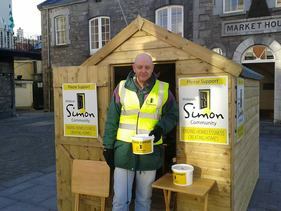 Midlands Simon Community are very lucky to have local groups of Midlands Simon supporters who fundraise for homeless services in their local area.